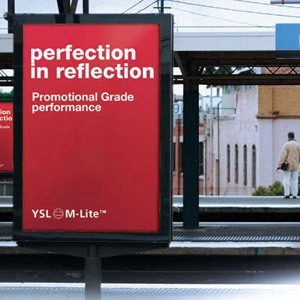 M-Lite™ 300 Promotional grade is the perfect cost effective choice for temporary medium to short life uses such as temporary road signs, advertising signage and car park signs. M-Lite™ 300 has a high tensile top layer, excellent reflectivity and three year performance life. The sheeting is constructed from enclosed glass beads, is available in six colours and a choice of three substrates, non tearable PET, tearable Acrylic or Acrylic with a PET topcoat. M-Lite™ 300 is suitable for applying to clean prepared steel, aluminum, and plastic boards. (these should be tested for suitability prior to use) This product is self adhesive with a pressure sensitive adhesive and poly liner. For more technical details such as adhesion, application, storage etc please download the M-Lite™ 300 product sheet. The M-Lite™ application manual provides Information on product usage and is available as a download.